THE TRIP TO THE PETERSON WAS GREAT..BUT MORE PARTICIPATION WOULD HAVE MADE THE VISIT EVEN BETTER..!! TWO CARS LEFT BIG BEAR AT 8:00 am AND WENT DOWN THE HILL ON HWY 18 TO THE SAN BERNARDINO TRAIN STATION..
UNION STATION IN DOWNTOWN LA..
A BITE TO EAT.. AT A SANDWICH SHOP NEAR THE STATION AND WE GOT ON THE SUBWAY HEADED WEST TO WILSHIRE AND WESTERN..
SEVERAL SHORT STOPS LATER.. WE WENT UP TOP TO AN AWAITING BUS TO FINISH THE FINAL LEG OF OUR TRIP AND THE “PETERSON”.. 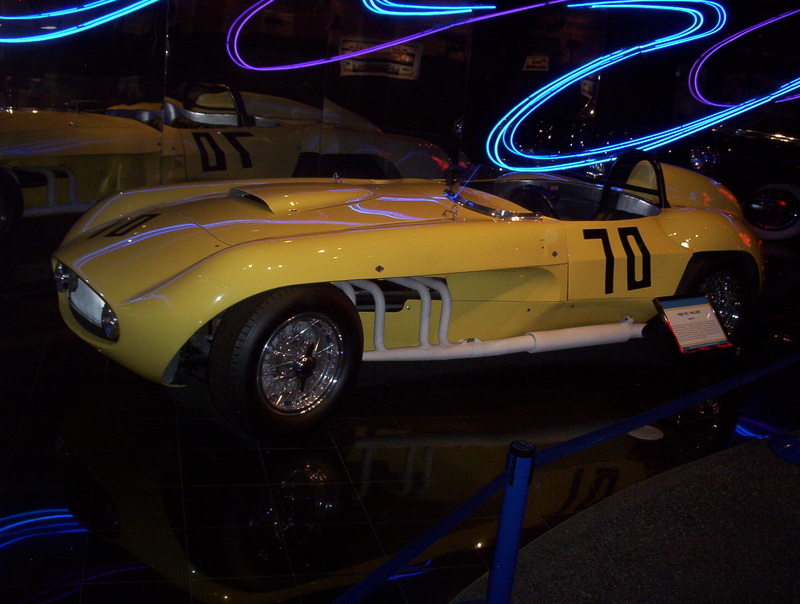 THE MUSEUM IS A FANTASTIC PLACE FOR THE AUTOMOBILE ENTHUSIAST..
WE HAD AN APPOINTMENT WITH A “DOCENT” WHO WOULD SHOW US AROUND AND EXPLAIN THE DIFFERENT DISPLAY’S.. 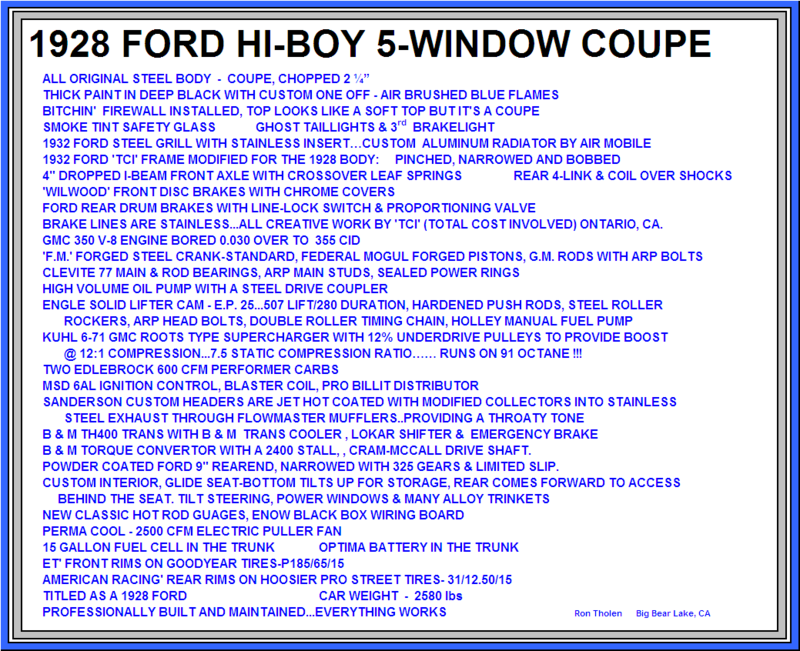 BUT WE HAD AN HOUR OR MORE BEFORE HE WOULD BE AVAILABLE..SO WE STRUCK OUT ON OUR OWN..
LOT’S TO SEE IN THE TWO STORIES OF THE MUSIUM..OLD TIME BUGGIES” TO “BATMOBILES”..
“DRAGSTERS” TO “LIMOUSINES”.. THEY HAVE SOMETHING FOR EVERYBODY..
FOOD WAS AGAIN ON OUR MINDS.. SO WE ATE AT “JOHNNY ROCKETS” IN THE MUSIUM..BEST ONION RINGS THAT I’VE EVER TASTED..OUR DOCENT WAS ON TIME AND HE EXPLAINED THE MANY FACETS OF EACH DISPLAY THAT THE MUSIUM HAD TO OFFER..WE BOARDED THE BUS FOR THE RETURN TRIP TO THE SUBWAY STATION IN LATE AFTERNOON..WE ARRIVED AT THE SAN BERNARDINO TRAIN STATION IN EARLY EVENING..AND BACK TO BIG BEAR..
ERIC AND LYNN..OWNERS OF “GET THE BURGER” IN BIG BEAR LAKE.. 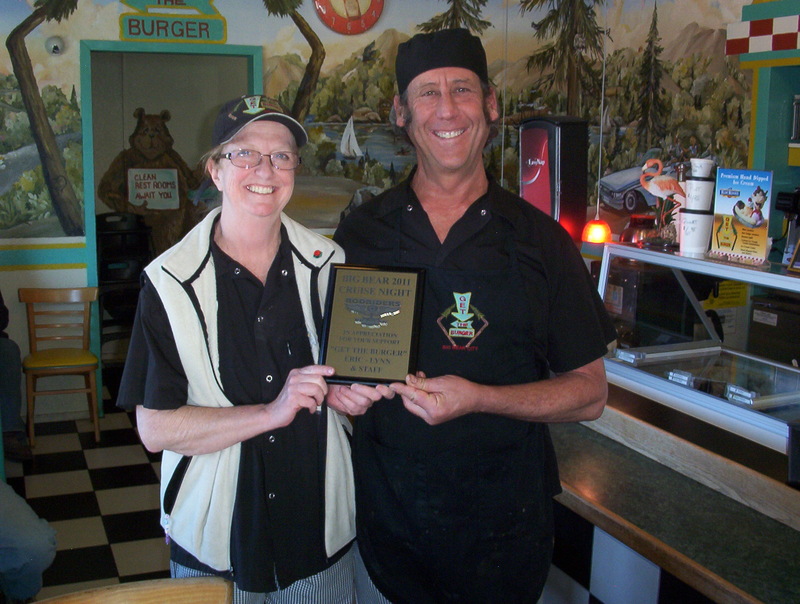 WERE AWARDED OUR FIRST “THANKS FOR YOUR SUPPORT AWARD”..
ERIC AND LYNN STEPPED UP IN A BIG WAY AND OFFERED THEIR PARKING LOT FOR THE WEEKLY “CRUISE IN” HOSTED BY THE “ROD RIDERS OF BIG BEAR”.. “FAT PAT” PRESENTED THE PLAQUE TO ERIC AND LYNN.. THE BIG BEAR WEEKLY CRUISE IN WILL BEGIN IN THE SPRING AND CONTINUE THRU THE FALL OR UNTILL THE WEATHER TURNS TOO COLD FOR “OLD RODDERS”..
Had a great time at Get the Burger. Loved their sweet potato fries. Thanks Eric for hosting the Rodriders. Good Food, Good Music and Good Friends. 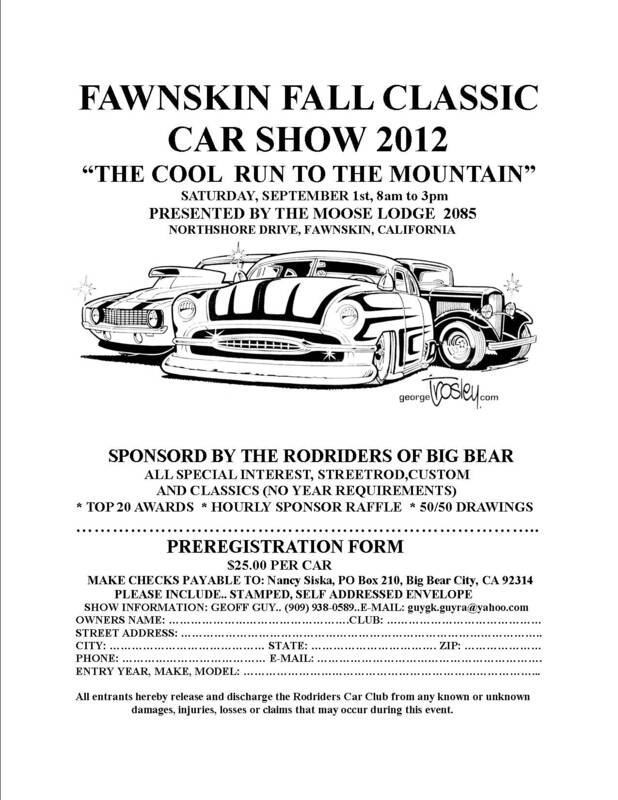 Great pictures from Fawnskin Labor Day weekend car show. Kudos to Geoff Guy for getting the show off the drawing board and to Joe & Nancy for manning the Rodrider’s and all the other members who made this show possible by volunteering and gathering raffle prizes from local merchants. Let’s make next years show bigger and better. Thanks to all.